On February 14, 2018 in Parkland FL, seventeen murdered students and staff. Without effective intervention and legislated control, this madness won’t stop. This time, something new has happened. Student survivors are calling out and shaming members of Congress for their failure to protect lives with sensible gun control regulations. These students announced a nationwide march for gun control on March 24, 2018. Several states are planning marches in their states. Please read: March for Our Lives Mission Statement. Let these students be our inspiration and guides to action. Their actions, and their voices, appear to be cutting through the gun lobby’s constant wailing, and politicians’ kowtowing. Let’s back them up and turn this evil tide. First, we provide support for the thousands of students and staff who have been murdered, injured and/or traumatized by these horrendous crimes. March with us in Washington D.C. or march in your own community. On March 24, the collective voices of the March For Our Lives movement will be heard. Place a post on their Facebook page, send an email and/or write a letter to the editor praising these young heroes who have stepped up and are SHOUTING OUT for change. This bill would allow a qualified individual to possess a concealed handgun in another state that allows individuals to carry concealed firearms. Concealed carry requirements from the least restrictive state’s laws would allow someone to conceal carry in a state with more restrictive gun control laws. 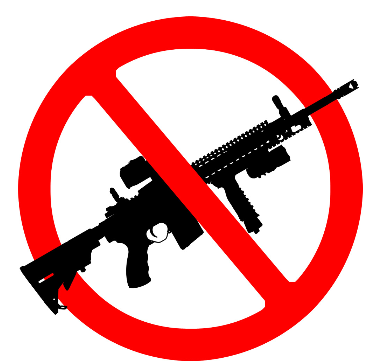 Effectively it would reduce all gun regulations to the lowest common denominator. Call Senators and demand they vote NO on H.R.38 which has already passed the House. Tell them now is the time to pursue sensible gun control measures. Ask them to hold a news conference to call out the NRA and members of Congress who bow to the NRA for their dirty money. Make them understand how outraged you are that incidents like this have become expected and routine. It is no longer time to be polite. This action is from Olympia Indivisible’s weekly Call to Action. We have made some additions and minor edits to this. Be sure to go to their website for more on the actions, upcoming events and for their latest Research Report. Also find them on Facebook.